From "Krymskoye Vremya" (Grimean Time) Newspaper No.134, p.5, 2008.12.04 with the heading "Vandals". 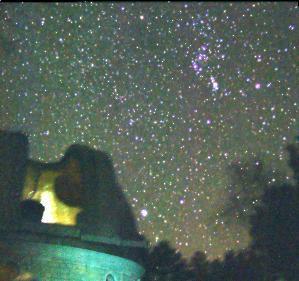 Crimean Observatory is threatened with a real danger. Anyway, this is a firm opinion of astrophysicists who disagree with the decision of present leaders of "stellar village" to permit the beginning of the elite housing complex on the territory of the observatory by the Consol development corporation. 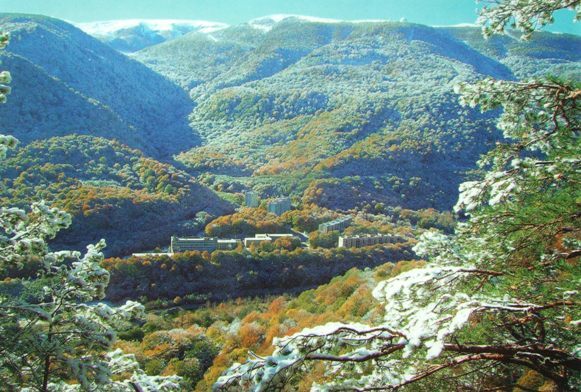 The exclusive project called "Mountain base in Nauchnyi [Scientific] community" which the corporation had time to present seems to be a very alluring for potential purchasers of elite flats. Isn't it a limit of dreams to have appartments in the most high-mountain inhabited locality of Crimea near the telescopes directed towards the heavens, and with the wide sights on the Crimean mountain chain?! It is a perfect bliss to arrive in the astronomers village with a cool foreign car, to walk out in the small forest having all rights of property on the territory, to empty a glass of vodka with a barbecue, and then after paying to ticket window guide "brothers" [sleng - members of mafia group] to feast thier eyes upon the Saturn rings through the two-hundred magnification glass. No, I do not exaggerate. I feel with my whole being that it will go in such a way. Sooner or later, the "brothers" shoud invade in the life of Nauchny. There is no another way, if the State itself lives on the base of "brothers" law and forces the science to be a some commercial society with the limited responsibility with the main purpose to kick out the money to exist. Continuous underfinancing, small salaries for scientific researchers even in Ukrainean standards, old equipment - these are the realities of modern life of Crimean Astrophysical Observatory. In addition, the housing problem arises which corrupted everyone. Sometimes ago, the habitation for the researchers was being built continuously on the territory of the observatory. Now all it is privatized. The flats in Nauchny - formerly a closed regime object - are being saled and rented, and half of recent habitants have no relations with the observatory. But young scientists who advance the native science live in the office rooms and even (you will not believe!) in the domes of telescopes. This is a real starry imagination! However not all the astronomers love imagination in the soul. Last time, two young and perspective (as ones talk) researchers who did not care a fig about this science leaved the observatory, in such a way the stars turned in their fortune. ...The project of housing complex of four houses containing 88 flats was developed still in 1988. Construction of the first two houses began in 1990. Due to crash of Soviet Union end economy collapse, this construction stays unfinished. No budget money was found for its reactivation, and after all, in 2005 Crimean Astrophysical Observatory had been permitted by Ukrainean Education and Science Ministery to continue house-building with the help of an investors. "During several years, we considered the proposals of different investors, but they promised to satisfy only 8 to 10 per cent flates in the new houses", said Alla Rastopchina-Shakhovskaya. "We found the Consol development corporation through newspaper advertisement, and this company was ready to give free for scientists 15 per cent flats. Taking into account the real situation in the realty market and continuous rise in prices, we agreed with these conditions. Additionally, investor assumed the obligations: install the filters into the system of water purification, replace water pumps, gas pumps, and pay expences for the village border delimitation. Consol corporation gives for the observatory one and half million hrivnas to buy special equipment - no one forgive us if we disagree with these conditions. The project favorable prima facie caused violent discussions in the Scientific Councils. The competent Crimean people whose contribution in the development of national astrophysics is indisputable by anyone say that the realization of project will destroy the starry stronghold of Crimea. The question is that the astronomers consider as their enemy not the lack of mon and not the lack of flats, but uncontrolled light and dust pollution. Everywhere in the world, observatories are being built far from inhabited localities. Crimean Astrophysical one was not the exclusion. The three-kilometer protection zone was introduced around the observatory, however the individual house-buildin continues just now in it. But the large reserved forestland expanding for many kilometers protects the sky over Nauchny of the light illumination from South. T traffic policemen installed even the road sign "lower beem only" at the approach to observatory. But what more than the road sign! Earlier, the kitchen garden digging works were prohibited at that southern side where they are going to build the housing complex. "As established from measurements carried out in 1992, dozen faint lamps installed low above the ground and covered by shields increased the night sky brightness by 10-15 per cent", - says Bruns. - "One may imagine what light striking give half hundred elite appartments! Add to this illumination the light of headlights and dust of cars arriving each time of the year. What observatory may be discussed?" Other scientists of Crimean Astrophysical Observatory confirm this opinion. "Additional lighting by seven-storyed houses is inevitable if they will be built in the southern side," -thinks Vasily Honeychuk, senior researcher responsible for the object called National Property BST-1. - "Even if the investor installs the rendering windowpane the lighting becomes only smaller, but does not vanish. Vibrations, pollution of atmosphere, possible fireworks and smoke of campfires will be of harm for scientific investigations". "Object called National Property GT-48 is the single gamma-telescope on the territory of the former Soviet Union", - said Valery Fomin, head of gamma- astronomy laboratory. "We carry the scientific observations with it only at dark sky, even presence of the Moon prevents the work. If the housing tourist complex raised in a few hundred meters from the laboratory, the parasitic lighting will so strong that the efficiency of the work will go to zero. In the present time, the rapid growth of interest to high- energy gamma-ray astronomy is seen. We are the first in the world, and telescopes like ours are created in advanced countries. But we simply kill national gamma-astronomy to please commercial interests." One should say that the opinions of scientists on the Consol new house-building project influence disperse. In the Scientific Council of 18 people present, 5 ones voted for the project, 9 ones voted against, and 4 ones abstained from voting. The commission was established which did not be able to come to an agreement. The following meeting of the Council took place on August 22. As director of observatory tells, that Scientific Council has decided to give right to solve this question to administration of scientific institution and entrast with it to continue negotiations with Consol corporation taking into account remarks received. Particularly, the builders should realize requirements of minimum light pollution or totally exclude from project the elements of entertainment complex. As Rastopchina-Shakhovskaya asserts, Console men are ready to take all the wishes of scientists into account. "No decision to give administration power to solve the question of construction has been produced by Scientific Council", - asserts Andrey Bruns. I am ashame for speaking about, but we face with clear falsifications from the side of observatory administration. The distorted information was put even in the base of information letter sent in Kyiv by director of observatory. For instance, some conclusions of the Laboratory of Stars and Galaxies are presented as if being done basing on consultations with the laboratory staff. However, in actual fact no consultation took place. The reports of scientific researches were listened at seminar, and these reports contained ambiguous results. But proposal by Sergeev, the collaborator to produce the decision about housing construction by voting was rejected by chairman. Certainly, not we who should look into this astronomical kitchen. Both, one and other sides have own points of wiev. Both, one and other sides a based on scientific arguments. Rastopchina-Shakhovskaya assures me that the housing construction will be conducted at the level lower than that one where the telescopes are installed, and new houses will give only weak lighting, Yalta and Symferopol give much more harm in the night time. Most likely, a serious independent commission of experts should have put a point in this discussion. But seems, nobody is going to conduct it. Truth to say, one commission visited Nauchny, that was commission of Ministery of Science and Education of Ukraine. But for unknown reason, talks Bruns, guests from Kyiv did not listen to any members of opposition, they have been satisfied by conclusions presented by observatory administration. It is extremely clear for Kyiv functioners that one should not lose the investor. But let us suppose that nine scientists, Phylosophy Doctors and Candidats of physical and mathematical sciences are really true? Then in the near feauture, Crimean observatory will not be a science and research institute but will be a place where tourist-pilgrims want to feast their eyes upon the sky for money. Unfortunately, the intellectual travails of functioners responsible for national science condition are enough unless for calling six telescopes falled to their share from Soviet Union as a "National Property of Ukraine". And therefore it is no wonder that more and more every year Crimean Astrophysical Observatory looks like tourist center. Whereas its researchers huddle in service rooms, both, first and second floors of the main observatory hotel are rented exclusively by guests, and, as a rule not by those who comes to Nauchny to astrophysical conferences. "What can we do? ", - Alla Rastopchina-Shakhovskaya says, -"nowadays observatory should earn its living". But no one can earn the flats for young scientists with such a business. Now there are 208 scientific and technical collaborators, 89 of them are older than sixty and 49 older than seventy. In the foreseeable future, new workers should replace them, and it is necessary to give them habitation. With the relation when only three of 17 flats built in Nauchny are given by investor for the needs of observatory, one should build 333 flats or 12 seven-storyed houses to provide with flats 50 young scientists! Therefore the way proposed by observatory administration and supported by Ministery of Education and Science of Ukraine to seek investors for housing construction on the village territory is dead-end for Crimean Astrophysical. Housing construction outside the boundary of tree-kilometer zone is more reasonable, but this variant is unacceptable for investor. And what is in remainder? To hope for the budget assignments? But in the state where all the questions are being decided at the level of "brothers" these assignments are absent and not foreseen. And Consol corporation has already displayed the prices for the flats in its WEB site. On the day of November 21, 2008 these are the following: the flats are for 1500-1700 USD for squire meter, the appartments are for 1700-1800 USD for squire meter. 64 flats and 18 appartments are now displayed for sale in the houses still not built. © "Krymskoye Vremya". When reprinted or cited, the reference on "Krymskoye Vremya" is obligatory. Summer sky. The Milky Way is seen, the brightest spot is the center of our Galaxy. Orange luminescence in the left bottom of the picture is the light contribution of Yalta city and Southern coast. DARK SKY AWARENESS. An IYA2009 Cornerstone Project. OUTDOOR LIGHTING CODE HANDBOOK. International Dark-Sky Association Document (PDF). with the full power of its night street lighting. The enterprise has started to operate in the astronomers' village Nizhnyj Arkhyz 3.5 kilometers from 6-meter telescope inside the radius 30-km protected zone. It is organized on the base of a store building at the RAS Special Astrophysical Observatory. The protected-zone regime of street lighting is absolutely not holded at the enterprise. By all the perimeter of the enterprise, the unshilded mercury gas-discharge lamps are installed, the lighting area for cargo handling operations is equipped and access road to enterprise is highlighted. To illuminate the territory, the fixtures of "dazzle" light were used including sodium lamps, their light is scattered into large areas being visible from large distance. 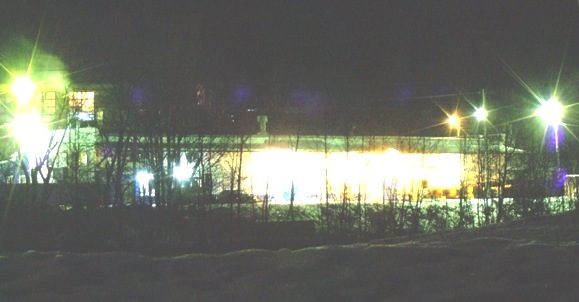 Night photo of the enterprise in the Nizhnyj Arkhyz village taken from the Zelenchukskaya-Arkhyz highway. New view of Nizhnyj Arkhyz astronomer's village at night. Red arrow locates 6-meter telescope position. Photo is taken on December 17, 2008. Sky and landscape are illuminated by the crescent Moon. As distinct from the commercial transaction around Crimean Astrophysical Observatory in Ukraine, the similar one around SAO RAS in Russia was made without knowledge of astronomical community, and the community was faced with a fait accompli. Content of this transaction is not disclosed. I.P.Kostyuk, the scientific chairwoman of SAO RAS refused to acquaint me even with the constituent documents of the observatory and government regulations relative to 30-kilometer protected zone due to secrecy. SAO RAS administration has disappointed publically the Large Telescope Program Commettee that it would take measures against the light pollution of the sky by the village. Evidently that is just by the terms of this transaction or for the money recovered through this transaction, the standard equipment of childrens' grounds was delivered for SAO and installed in the astronomers' village. The eqiupment is working all the night using 9 fixtures with unshielded sodium high-pressure lamps. Similarly equipped childrens' grounds are used to develop in Moscow. Such a ground was developed near Domodedovskaya metro station as a present to Moscovits on behalf of United Russia party. It is not clear what party gave this present to Russian astronomers but this was a real "bear's service" [as Russians call the service more harm than good]. The damage of the world astronomy by this present should have still to be established. "SAO was found primordially as a multiple-access center for the astronomical community, and BTA and RATAN-600 as well as other largest world telescopes have always the status of common instruments" (Yu.Yu.Balega in the book "The Special Astrophysical Observatory. 40 years". P.5, 2006). The Program Commettee allocates up to 30 percent of observational time for the foreign applications. So, the Russian 6-m telescope and its starry sky is a common property of the world science. Therefore the astronomical community has a right to know all about administrative decisions of principal importance for Russian and world astronomy. A chain of events preceded of the appearance of the enterprise on the SAO RAN territory, which allow to find the participants of transaction and their commercial interests. Since March 1, 2005 the Housing Code was implemented by Russian President V.V.Putin. This Code gives to living-quarter owners in the blocks of flats a right of share holding of unhabited facilities, building constructions and house equipment, as well as that of ground areas where the house is located (Code article 36). The living-quarter owners must keep the objects of share holding at one's own expence. The absolute majority of flats in the astronomers' village are privatized. The execution of Code meant the loss of living houses and the land areas on the territory of the observatory. In the last 2005 the inhabitants of village seing inertia of SAO RAS administration founded and registered officially the association called "123" to maintain the houses 1-3 in accordance with the Code. House 4 was the hostel by SAO RAS, and the flates there were not privatized. But the observatory administration forced the observatory staff to vote anew to place houses under management of Federal State Unitary Enterprise (FSUE) of the Nuclear Research Institute of the RAS in Kabarda-and-Balkaria Republic (in Baksan), and the housing and communal services (HCS) of SAO RAS became the branch of that structure. The house council was selected of the people proposed by administration for public relations. In such a way, the SAO RAS administration took all the communal services of the village under its control. Then it is totally responsible for all the business here. It was declared that the means were received from the Academy in the number of 4 million Roubles, and the repairs were done of roofs and entrances in three houses for these means. In 2008, HCS of the observatory performed huge accomplishment works in the village including major repair of buildings. In the houses 1 and 2, six new elevators were installed (the estimated cost of 250.000 USD), the asphalt was layed in the yards of the houses, the village roads were repaired, and those unfortunate children grounds were equipped. The origin of the means used to pay these works was not declared. 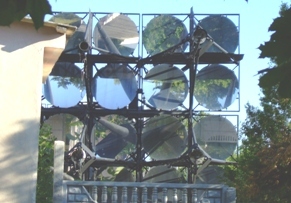 In the beginning of 2008, the powerfull unshilded double gas-discharge mercury lamps were received in observatory, and they had been installed anywhere and anyhow since January with the gross violation of BTA light-protected zone regime. I warned Yu.Yu.Balega, the SAO RAS Director and M.Mengalieva, the chief of HCS, called for the Large Telescopes Program Commettee about the interference to astronomical observations and violations of light-protected zone regime. Balega gave commissions to his subordinates to eliminate violations, the deputy director V.V.Vlasyuk assured the Program Commettee that SAO would take measures to remove light pollution of night sky by the village. But the light pollution increased sharply, and as a result, we faced with the illuminated enterprise working at night. The information about the possible commercial partner of SAO RAS, the water producer one can find in the Internet. For instance, one could find in the site of AquaExpert.Ru in the section "/analit/2006/06/06/arkhyz/" of this site the following interview by an expert. Question. An Aqualine representative said to Expert.Ru that their water source is located in Nizhnyj Arkhyz village. Answer. Not so much in the village as at the road to village. Their water is tuned with insanitation just on the carriageway at the entry to Nizhnyj Arkhyz village. The offtake is just from the local water pipe. In the beginning of 2009, the site section was closed with the message 'This page is removed'. Evidently, the sanitary regulations were satisfied when the new plant was started-up in Nizhnyj Arkhyz. In Autumn, 2008 the pipe line was built along the right bank of Big Zelenchuk river from the water intake to the new enterprise. Now the water carrier lorries do not stop near the water intake, and the watch-box is demolished. One can found in the site of Aqualine closed corporation its official adress in Cherkessk city along with the name of its general Director A.Kh.Khotukaev, and, what is the main, the quality certificates on the water produced in the Nizhnyj Arkhys. There in certificates the accurate address of Nizhnyj Arkhyz enterprise is presented. Really, the water of Nizhnyj Arkhyz is of highest quality, even in the water pipe. Moreover, there is a spring of medicinal natural mineral hydrogen sulphide water, the object of pilgrimage of inhabitants and tourists. Aqualine's problem was evidently not the water but competition with the other closed corporation "Visma", which is extracting water from the borehole in Arkhys [20 km south-west from Nizhnyj Arkhyz]. The expert was the representative by subsidiary open corporation "Visma Lux". These corporations have own distributors in Moscow (whose sites can be easy found in Internet). Moscow water pipelines contain water of bad quality - this is known ecological problem, - and I living in Moscow use to buy waters both the "Mountain Legend" by Aqualine, and "Arkhyz" by Visma, if I find them present on sale. Evidently, the observatory has a common profitable business with Aqualine and uses the profit of this business to hold the housing and communal services (HCS) in the village. Some people of the village asserted that Balega, SAO RAS Director is a prime stockholder of Aqualine corporation and has private interest in the given transaction. But there are no confirmation of this information in the Internet, and such facts can be established only through prosecutor's investigation. I think that organization of such a business is not possible without sanctions of high ranks in Academy, which are concerned with holding of huge infrastructure of Academy. Whichever would be the organization of this business or its public benefit but for the sake of it the serious world-class science in SAO RAS is given up for lost. To solve the old Moscow ecological problem, they export pure water from Nizhnyj Arkhys. And in place of pure water they leave dirty night sky as a present for astronomical capital, what is a new ecological problem! Really, in this region of Karachai-Cherkesia there are 5 astronomical observatories except SAO and RATAN. Excluding one more object of radioastronomy, these are Kasan' University observational station, two different-purpose stations of satellite monitoring, and public amateur observatory Astrotel. Me, and some inhabitants of astronomers' village have own home observtories and telescopes, and already whole the year I can not carry out astronomical observations due a such barbarous business. The spot of light pollution from the astronomers' village Nizhnyj Arkhyz on the upper boundary of cloudness as it is seen from the SAO RAS upper observational sight (the biggest spot in the foreground). Photo is taken on October 27, 2008 when the snow cower was absent in the gorge. At the distance behind the heights of Mitseshta mountain chain, the spot of Zelenchukskaya kazak village is seen along with the spots of Dausuz community and Ali-Berdylovsky and Zhako mountain villages. The starry sky of Nizhnyj Arkhyz is the top scientific value of Russian astronomers and all the world astrophysics. This observatory "was created by previous generation of astronomers, engineers and constructors of the Soviet Union to place national astronomical science in the world front lines" (Yu.Yu.Balega). Our generation of astronomers does really work in the world front lines beyond comparison and carries the investigations in the operational freedom. There are no other so big world-class telescopes in Russia, and the construction of new big telescopes is not previewed in the feature. Here, even the medium-class telescopes with the mirror diameter of 2-5 meters are absent. Program Commettee is able to satisfy only a quarter of time requested by researchers for observations with 6-meter telescope, and hard competitive selection of subjects takes place. In the Russian Academy of Sciences, subjectivism ideology (scientific revolutions by Thomas Kun) is now predominating. According to this theory, scientists extract knowledge about the nature from the depths of their 'genious' soul and through 'irradiation sometimes even in the night silence'. This is the ideology of personality cult, the highest value of these ideas is a leading authority. Truth is that scientists extract knowledge about the nature from the nature itself. Therefore the starry sky or cosmic depths is that most valuable source of knowledge, and 6-meter telescope is a most valuable instrument of knowledge (even in the direct sence as measured by means expended for its construction). The Soviet Government did understand that when introduced protected zone around the observatory. I was concerning myself with problems connected with the light interference for astronomical observations in different observatories during 30 years. I handled with newspapers, government bodies, industrial enterprises, and even with a military unit. I worked at these problems in the Scientific Ethics and Professional Rights of Astronomers Comission of the International Euro-Asian Astronomical Society. Till present time, the iniciators of night sky light pollution were manufacturers or population who did not know anything about the problems of astronomy. So, my work was educational only. Quite often I was being sent out from directors' offices, but the problems were being solved, and sky pollution being eliminated. Now we have faced with a new situation. The iniciators of sky lighting are the astronomers themselves, these are the authority leaders of observatories intrained in business to solve economic problems. The values of business, commercial profits, prosperity and luxury concirning with it became higher than scientific values, such as professionalism, scientific honesty, accuracy and precision of scientific works, high world-class level of investigations. This change of values is a real ethical problem of science, of people's honour and conscience in their behaviour. Some of people who entered science to make their careers reach a great deal: high positions and salaries, authority and academician status, they have good flats, cars and cash income, and therefore they want to live like in the capital. Such a trifle as a starry night sky turned out to be a small change coin in commercial bargains for exclusive communal services as in SAO RAS or for a few elite flats in penthouses as in Crimean Astrophysical Observatory. 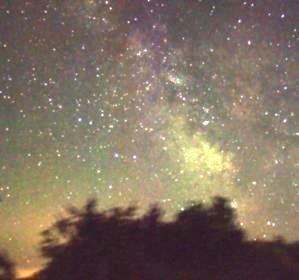 As in Crimean Observatory, the opinion of SAO RAS staff of light pollution of sky differ. The alternative opinion is that the street lighting in village affected in no way the observations with 6-m telescope. (A question arises, if no affect at 4 km, why the 30-km protected zone was implemented by government solution?) As soon as the question arises in the meetings in SAO of night sky light pollution, this opinion is being talken by V.L.Afanasyev, main scientific researcher of SAO, competent specialist in extragalactic astronomy, State Prize winner, and constructor of SCORPIO spectrograph, basic and mostly often exploitable device. SCORPIO is especially designed for weak light fluxes registration: antireflection coated lenses, CCD EEV 42-40 having quantum efficiency more than 80 per cent and cooled by liquid nitrogen downto -135 Celsium degrees. Such a cooling reduces number of thermal electrons to zero even at long exposures lasted for tens of minutes. The perfect measuring device allows to measure a total charge of 3-5 photoelectrons! Night sky spectrum taken with BTA/SCORPIO on November 18, 2008 with the exposure of 1800 seconds. Excess of radiation over the background in the mercury line is 400 ADU, that one in the sodium line is 4500 ADU. Sensibility parameter of analogue-to-digit transformer Gain = 0.5 electrons per ADU. 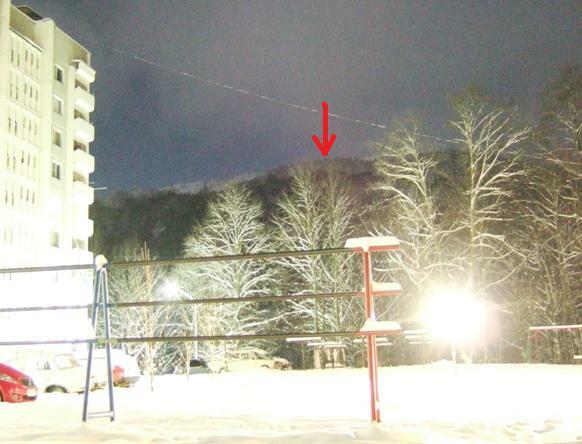 The extreme intensities of NaI were observed at this night. When an BTA observer tries to accumulate 20-40 photoelectrons per pixel of image from a faint remote object for half an hour exposure to measure the intensity of its radiation, the local communal services give him additional 200 photoelectrons as a present. On November 18, 2008 BTA observer received 2300 photoelectrons per pixel in the NaI line as a present from our children (which were sleeping quietly that time)! Such a spectrum (see top picture) is already useless to measure equivalent width of NaI interstellar line in a faint star. This line is well calibrated to determine distances to astrophysical objects. So, BTA with SCORPIO can not be used to estimate distances to stars. Program Commettee applies only extreme tasks for BTA which can not be solved using other smaller telescopes, but light pollution kills just extreme tasks. Please, a technical question to Afanasyev: why spend money for expensive devices with antireflection coating and nitrogen cooling if noise level through light pollution puts the improvements down to zero? INCOMPETENCE, DILETANTISM AND EVEN VANDALISM OF MANAGERS IS PRESENTED AS A CONCERN FOR CHILDRENS. Starry sky of Nizhnyj Arkhyz is also the cultural value being the source of creation and inspiration due to process of perception and discoveries for the scientists. It is a part of the unique mountain landscape, the locality where the peoples live since older times which reserved to us the cultural monuments. Killing the starry sky in the locality where the astronomers live and work is vandalism in the direct sence of this word. Vandals is a wild tribe of conquerors which destroyed the caltural values - libraries, temples, monuments and works of art. To destroy temples and monuments, to cut down for selling the forbidden forests, to poison the rivers, vandals need time and inequitous troubles. One can kill the shine of stars only trough a single finger motion, turning a switch. One may not to trouble oneself even such a motion, and switch light automatically when it gets dark. The illuminated capital children ground in the astronomers village is the worst lesson to children of barbarous attitude to the nature, instead of learning how to keep with care that fragile resource which is the basis of their parents' life and creaton. I was born in a remote village in Smolensk region, in this village the street lighting was absent. The beauty of starry sky was the brightest impression of my childhood. With my children's questions about universe, my father lead me to village library where the full bookcase of popular literature on astronomy was found. Later I read books on physics, chemistry, mathemaics. This was beginning of my way to science. Why we take away such a chance from our children? Having passed the course of life devoted to astronomy, I can never hamble with such a vandalism. The significant time is chosen for vandal action against the largest astronomical observatories in Russia and Ukraine, that is the year 2009 declared as the International Year of Astronomy by UNESCO (United Nations Education, Science and Culture Organization) and IAU (International Astronomical Union). Russia and Ukraine are members both UN and IAU, and voted publically for such a solution. Just in this year we should stop this vandalism forewer. Russian and Ukrainean flags among the flags of International Astronomical Union members. Night sky spectrum of the Special Astrophysical Observatory. Characteristics of interference due to light pollution at the SAO observational sight.